By Ann Silverthorn, a longtime Netflix DVD subscriber and writer. We loved her "7 Things I Like About Netflix DVDs" blog post! Summertime movies seem to find a enduring place in my mind. I guess this is what filmmakers hope for: that their creations will live on and on, even after the beaches close. The other day, I took a scroll through my DVD Netflix history and identified seven summertime movies that I awarded four stars or more in my ratings. Well, except for Jaws, because who can think of summertime movies without that one? Even though this shark tale came out in 1975, it’s nice to know that it’s available for me to add to my queue, if I want to be scared to go into the water once again. This 1975 Steven Spielberg classic received an MPAA rating of PG, which makes Jaws sound tame. That’s only because PG-13 wouldn’t be introduced until 1984, following startled reactions to Spielberg’s Indiana Jones and the Temple of Doom. Set in fictional Amity Island (and filmed in Martha’s Vineyard), this thriller had beachgoers thinking twice before dipping their toes in the surf that summer—and the next. It also gave the press plenty of content for the next few years as it covered a seemingly epidemic number of shark attacks, the rate of which hadn’t actually increased at all. What parent can’t relate to wanting to give their kids a memorable summertime experience, and while doing so, becoming a hero? That’s what Clark Griswold intends when he decides to take his family on an epic journey from Chicago to the Pacific coast in National Lampoon’s Vacation. From the start, things go terribly wrong, and we wonder if he just shouldn’t turn the car around a dozen times along the way. In the end, Clark, like most parents, realizes that it’s not the kind of car he drives, nor how much money he forks over on his kids that matters. It’s all about relationships. This story of a difficult friendship was so good that it was remade for TV in 2017. I like both versions, but the original 1988 Beaches is my favorite. It opens on the Atlantic City boardwalk and ends on the Pacific coast. This is a fitting symbol for a long relationship, which was as rocky as a cross-country journey. Two young girls from opposite ends of the social spectrum meet by chance. Through the years, they both struggle toward their individual goals, ups and downs, and moments of conflict that threaten to destroy their friendship. Don’t we all yearn for time away from it all? Some of us, like Charlotte Rampling’s character in Swimming Pool, a tired mystery writer, have publishers with vacation homes at the ready in the south of France. This story is technically set in the off-season, but the pool is used enough to make one think of summer. The writer’s serenity is disturbed in multiple ways by the arrival of the publisher’s promiscuous daughter. Throughout the film, the relationship between the two women grows increasingly dark, leading toward an ending sure to send you to Google. The Door in the Floor tells the story of a troubled children’s writer who, with his wife, spends long, grief-filled days in the Hamptons. They hire an assistant to help them care for their young daughter, and each member of the family becomes emotionally connected with the young man, forcing them to come to terms with their loss. This is a delicious, steamy summer drama, and it's one you won’t want to watch with your kids or your parents. If you don’t live near New York City, you probably don’t know about a tiny island that sits just over a bridge from the Bronx. City Island is a film about a family that lives there. Andy Garcia plays the patriarch who is a corrections officer by day and aspiring actor by night. When he spots the son he hasn’t seen in 20 years at the jail, his sense of responsibility inspires him to bring the young man home. The only problem is that no one knows the truth about the illegitimate son, but each member of the family has something of their own to hide. Dear Eleanor is a road-trip movie which looks like it’s set in summer, but it actually takes place during the October 1962 Cuban Missile Crisis. I’m including it because it was released in July 2016, and it’s a film worth watching with the family. Lianna Liberato’s character, Ellie, is a teenage girl who is having trouble dealing with the death of her mother. She and her best friend decide that they need to meet Eleanor Roosevelt, so they take off in Ellie’s father’s convertible. He’s close behind, though, and by the end of the movie, lessons are learned all around. So, there you have it, seven summertime movies that are worth watching, or watching once again. DVD Netflix carries so many movies in its library that serious movie lovers spill their popcorn in delight. What are your favorite summertime flicks? Ann Silverthorn has been writing professionally for 20 years. 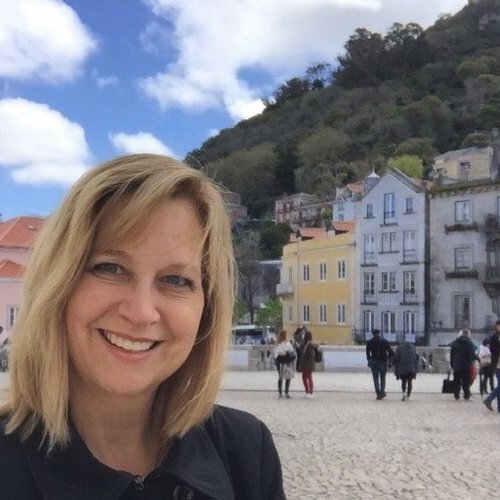 She began her writing career as a copywriter and feature writer, then spent a number of years reporting about technology, specializing on data storage and disaster recovery. As such, she served as mass-storage editor for Business Solutions and then Web editor for InfoStor print and digital magazines. Ann enjoys writing fiction, poetry, and drama, having been recognized in all three.